In 2010 Arizona, on it’s third vote on the subject, barley passed medical marijuana with Proposition 203. The program allows for qualifying patients to posses up to 2.5 ounces of medical marijuana. Obtain an authenticated, written certification from a doctor of medicine, doctor of osteopathic medicine, naturopathic physician or homeopathic physician licensed in the state of Arizona that states that you have been diagnosed with a debilitating condition and that you would likely receive benefit from marijuana. 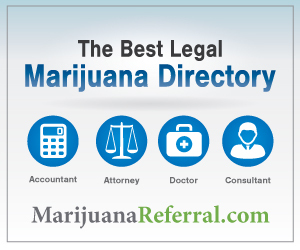 Patients can find a medical marijuana doctor in Arizona here. Note: You may be required to bring a copy of your medical records to your marijuana evaluation appointment, indicating diagnosis of a qualifying condition as listed below. Learn how to request your medical records. Once you have received your marijuana recommendation, you must register with the Arizona Department of Health Services to obtain a Medical Marijuana card. A chronic or debilitating disease or medical condition or its treatment that produces one or more of the following: cachexia or wasting syndrome; severe and chronic pain; severe nausea; seizures, including those characteristic of epilepsy; or severe and persistent muscle spasms, including those characteristic of multiple sclerosis. You will need to obtain and submit a new, current physician certification. You will need to obtain and submit a new, current photograph. You will need to obtain and submit a new Patient Attestation Form signed and dated with the current date. You will need to obtain and submit current documentation of your SNAP eligibility. The document submitted must indicate your first and last name. You may need to submit a copy of your identification if your name has changed since your last application.